Newer iPads might be faster or have higher resolution, but Apple's 2nd-generation tablet keeps getting the job done. It’s been five years since I bought a then-brand-new iPad 2, and—unsurprisingly—the machine I bought back then now shows every bit of its age: There are cracks in the bezel, scratches on the back, and the 30-pin syncing/charging cable that it came with has some bare stretches of wire that need some electrical tape, probably sooner than later. Yeah, it might make sense to replace it, trade it in, and flat-out retire it—considering how many iPad models Apple has in its stores today. However, this aging tablet remains one of the most-used pieces of electronic hardware in my household. My son plays his Minecraft games and watches Netflix Kids when we need him out of our hair. When we’re in the mood for music, we plug it into our stereo and stream the tunes, often from Amazon Prime’s service. And in a pinch, it still serves as a handy e-reader and document tool, good for catching up on books and signing PDFs. I even regularly use it for my work assignments. I’ve often wondered if Apple didn’t essentially achieve perfection with its 2nd-generation tablet. Our iPad 2—a basic, 16 GB Wi-Fi-only version, purchased new for $500 in spring 2011 —has proven so useful for so long, that I’ve often wondered if Apple didn’t essentially achieve perfection with its 2nd-generation tablet. Every iteration of the iPad since then has essentially been an update—newer, faster electronics—or a variation in size. But we haven’t had the need to buy another full-sized iPad, since our old reliable is still chugging along just fine. As it turns out, we’re not the only family getting good use out of our iPad 2. As recently as November, analytics firm Localytics reported that the 2nd-generation iPad was still—four-and-a-half years after its launch—the most-adopted model of Apple’s tablet lineup, commanding 20 percent of the market. Remember how sturdy this thing was? We’ve had a few cases for our iPad 2 over the years, including a Bluetooth keyboard case, but mostly it’s sat around without protection. Wise? Probably not: Our son was two years old when we purchased the tablet, and he adored it. I can’t count the number of times I watched horrified as my then-toddler grabbed the machine, only to immediately drop it, hard, on the floor. I kept expecting to pick it up with a spider-webbed touchscreen, but often found only minor damage. When cracks started appearing in the bezel, it seemed like it might be time to retire the iPad 2. We bought an iPad mini, then kept on using our iPad 2. Maybe we’re just lucky, but our iPad 2 has taken a lickin’ and kept on tickin’, and I’m not convinced that an Air would have survived this kind of stress. Given its widespread use, that’s probably the case for other households as well—you can’t use a tablet you’ve destroyed, after all. We’ve adapted how we use it: When we first owned the iPad 2, I was more of a gamer than I am now. Nothing complicated: I played NBA games on it, as well as airplane duel and tank shooter games—all of it kinetic, fast-paced, and fun. That’s changed as games have been built to higher standards. Take NBA 2K16, please: It gobbles up 3.28GB of storage, and the makers explicitly say it’s not compatible with the iPad 2. Same for other high-end games. OK. 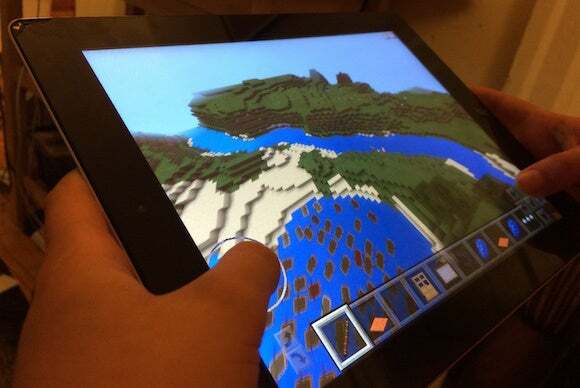 So we don’t use it for NBA games anymore, but there are still plenty of apps—and even a few games, as my son’s Minecraft addiction attests—that still accommodate what the iPad 2 can give. 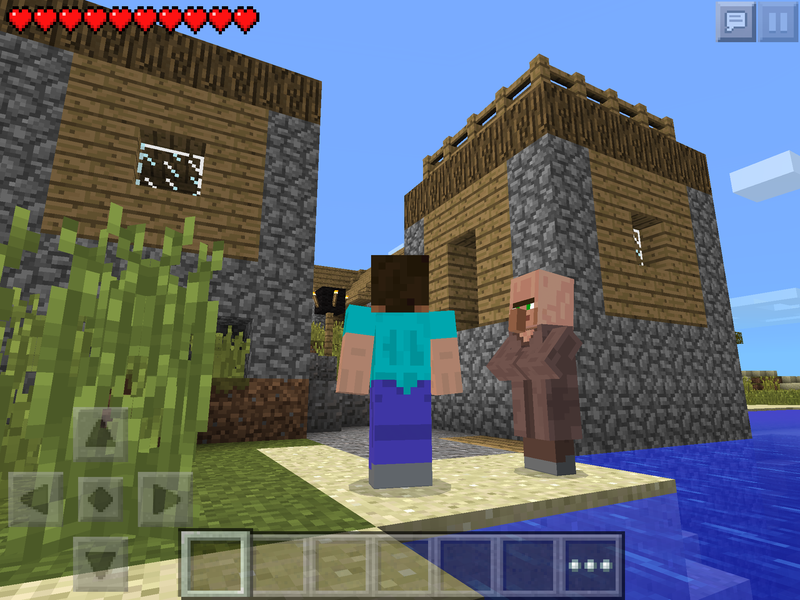 We’ve had to retire some games, but not Minecraft. 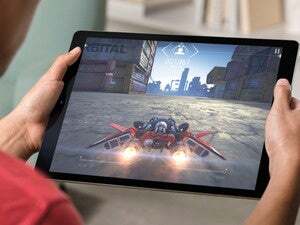 The insides were built to last, too: Apple has moved on from the A5 dual-core processor at the heart of the iPad 2—the new iPad Pro uses an A9X chip—but the A5 has proven long-lasting. It started life in the iOS 4 generation; it still supports the current iOS 9 operating system (with some exceptions for OS features, like Siri and AirDrop, that are found on newer tablets) which means it has survived through an amazing six generations of operating system. And that helped Apple keep the iPad 2 in its lineup for three years, until 2014. Now: The iPad 2, if it was “perfect” when it was created, no longer merits that adjective. Aside from the games and missing OS features, it also runs a tiny bit slower than it used to—and slower, of course, than more contemporary machines. But it’s still pretty useful, clearly. That’s not necessarily great for Apple, which has seen tablet sales level off after the early explosion of growth—and even experienced a decline in sales this quarter, as revealed in Tuesday’s quarterly earnings call. The Localytics numbers suggest the company’s problem isn’t that people have moved on from the tablet, but that they’ve simply found no need to move on to a newer tablet in recent years. If the choice is between spending $400 on an iPad Air 2 or waiting out another year with a perfectly-usable iPad 2 that was paid for years ago, lots of frugal families will err on the side of waiting. The flip side, though, is that I’m, well, fond of my iPad 2. Most electronics are, ultimately, disposable. This tablet will be someday, I’m sure. In the meantime, though, it’s accompanied us through hospital stays, long plane rides, remote work assignments, and more. The iPad 2 hasn’t quite reached heirloom status in our household, but it’s always been nice to know it’s there when we need it.